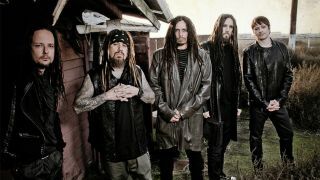 Korn guitarist Brian ‘Head’ Welch says the band are creating material for their next album at breakneck speed. They recently began work on the follow-up to 2013’s The Paradigm Shift, with several members having speculated over its direction in recent months. He believes the resulting work could be “heavier than anyone’s heard Korn in a long time.” And he feels it’s been fuelled by the band performing their debut album in full on recent tours. Korn continue on the road until November. Korn on their debut album: "We were weird"